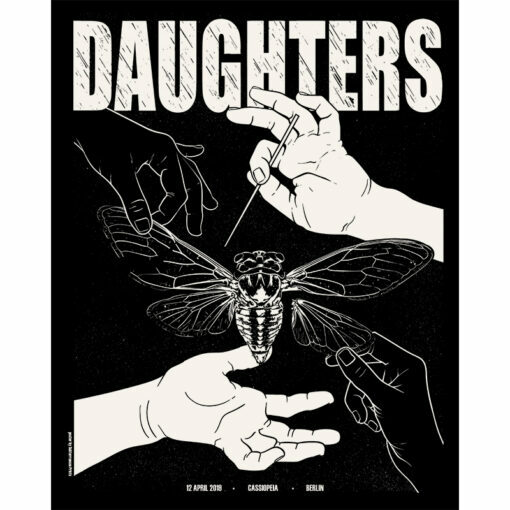 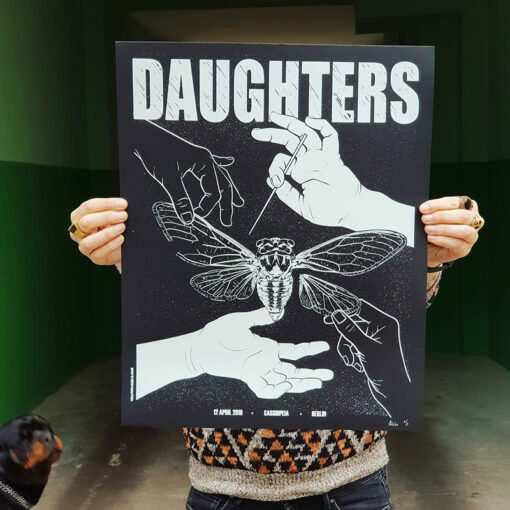 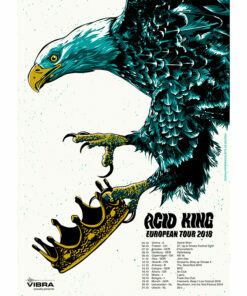 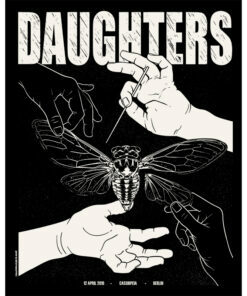 Gig poster designed and printed for the concert of Daughters in Berlin on the 12th of April of 2019. 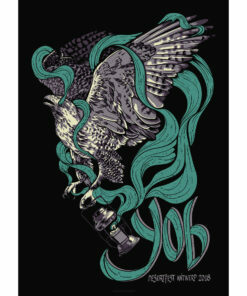 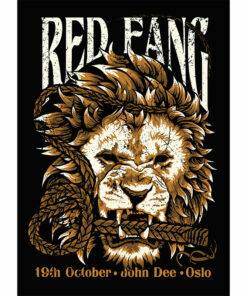 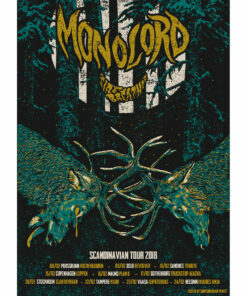 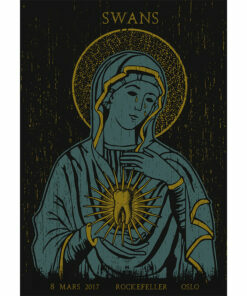 The print is a 1 color hand pulled screen print. 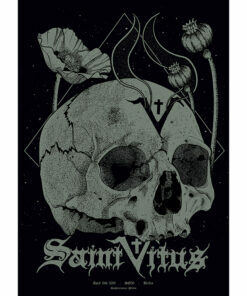 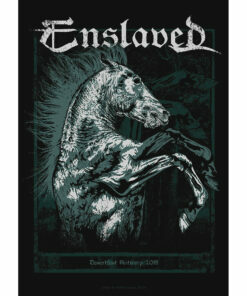 The paper is 270 gr curious skin black, size 40 cm x 50 cm.